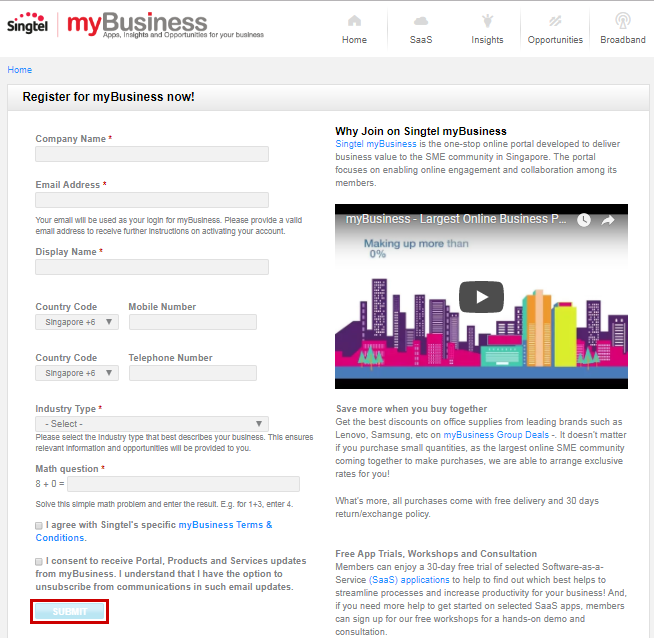 Using myBusiness is easy. 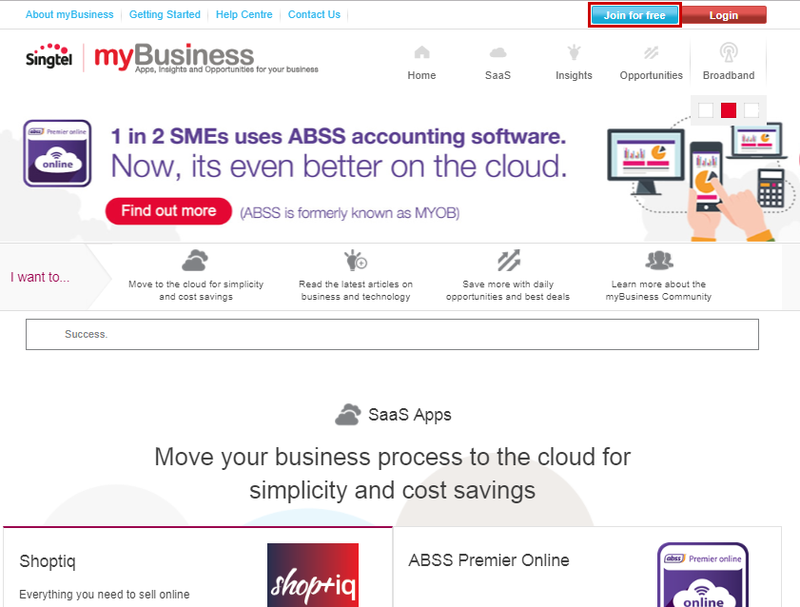 Simply sign up for a user account, select an app to use for a free trial and experience the benefits using SaaS apps. Click 'Join for free' at the top right corner. 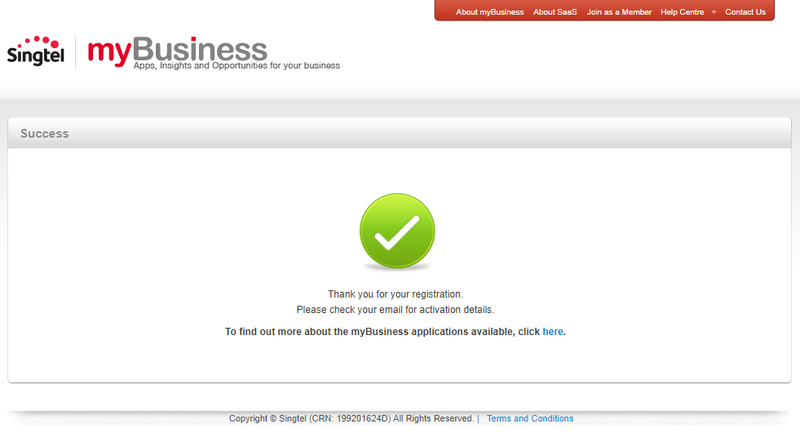 Fill in the 5 fields in the registration page and click 'Submit'. The registration is completed. Please check your email for the activation details.